I’m currently listening to six audiobooks at once. Perhaps this claim seems very audacious to you and you are very impressed. However much I would like to take full credit for it and have my readers overawed with what an ambitious, clever young fellow I am, the idea actually comes mostly from my cousin Micah, my associate and chief collaborator here at On The Rocks, and my wife. One day several weeks ago, Micah described to me how as a measurement technician he listens to one book at a time during each calibration throughout the day. It takes about an hour to finish a calibration, supposing no major issues are encountered. During one, Micah listens to the radio. During another, he listens to music. But for one calibration he listens to a book of history. For another, he listens to an epic fantasy novel. During yet another, he listens to a book of political commentary. And so on and so forth. You might say that I hybridized this notion with the central concept of the curriculum my wife Lauren has been using for our children for two years now. In that curriculum – Ambleside Online, of the Charlotte Mason variety – she and the kids read selections of several classic and well-renowned books each day which overlap at key points. Key figures and events are touched on from different perspectives and in different contexts. In this way, a clearer picture of history is painted. Impressed with these two ways of reading, the idea occurred to me to combine them together. And here I will share with you the amalgamated result – not to brag as if it is entirely my own invention, but because I think it a very good one you might benefit from incorporating for yourself. As I drive throughout the workday, I cycle through this list in this particular order. My order is intentional and intended to allow for maximal overlap between subject matter and time period. When I finish one of these, I immediately replace it with another which expands on something either integral or just briefly touched on in the other five. As much as I might want to, I will not give you a book review of the works in my current rotation. As I say, these are the books I am currently reading. I have finished none of them yet, and it is usually best to reserve reviews until one has finished a book. However, I will here briefly outline each of the works I am listening to now. In this way, the advantage of listening to multiple audiobooks at once will become clearer. 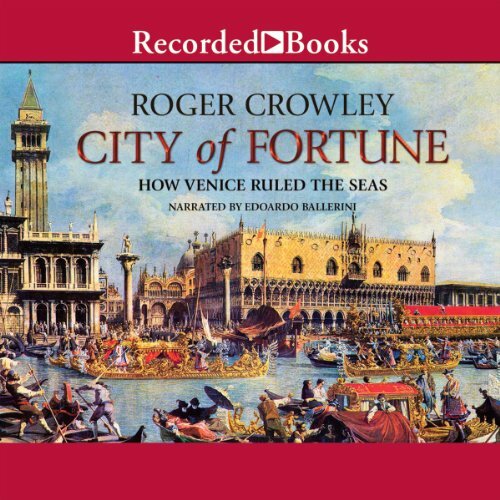 ‘City of Fortune’ covers the history of the Venetian Empire. Yet it covers still more than this. What was the Medieval mindset of Catholic Europe? How did the fall of Constantinople and the collapse of the Byzantine Empire impact trade in the Mediterranean Sea? How was the collective psychology of Christendom effected by the aggressive expansion of Islam? What was the impetus which drove European powers like Portugal, Spain, and England to sail west into the Atlantic to discover and colonize the New World? What explains the sense of urgency in seeking alternative trade routes to Asia around the southern tip of Africa? All of this and more is here. It is interesting to survey from the perspective of the Venetians the history of Western Europe and its struggle within and without – between the rival cities and nations of Europe, and between Christian Europe and the onslaught of Islam, especially in the form of the Ottoman Empire. Beginning with the Fourth Crusade in 1204, and spanning five centuries, one gets an interesting perspective on the historic clash of East and West looking at it through the eyes of the erstwhile middlemen of Venice. Arguably no power more than Venice exhausted more options in trying to either contain or appease the forces of Islam. Venice, then, serves as an excellent case study in how modern sensibilities can be weighed and understood. 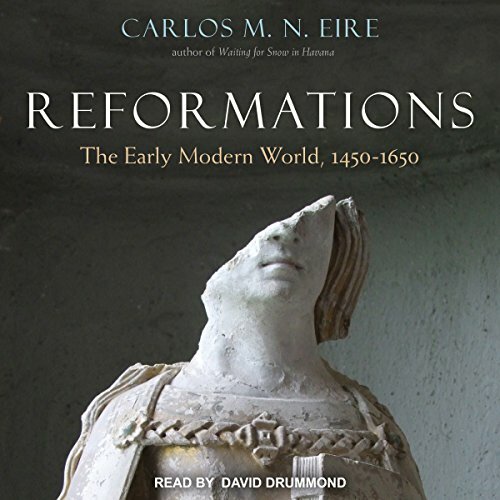 Reformations: The Early Modern World jumps forward a span into the 15th to 17th centuries from where the history of Venice begins. It also happens to take off around the same time the Venetians were waning in their power and influence due to the aggressive expansion of the Ottoman Empire. Here the focus shifts to a separate but related topic – that of the Protestant Reformation. The Reformation is not merely a question of who Martin Luther, John Calvin, and other Protestant leaders were. Nor is the question confined to what specific Roman Catholic doctrines and practices were objected to. The question is not merely who objected, or what particular denominations sprung up from the dissent. Arguably the most important question is what realities in the world led up to and contributed to the Reformation occurring and gaining traction when and how it did. What was the context of the Protestant Reformation – or “Reformations,” plural, as the book is titled? What impact do these events still have today on the attitudes and sensibilities we associate with the modern world? Such are the questions this book aims to answer and address. And there is much food for thought here for the Christian who wants to be more intentional about their faith. 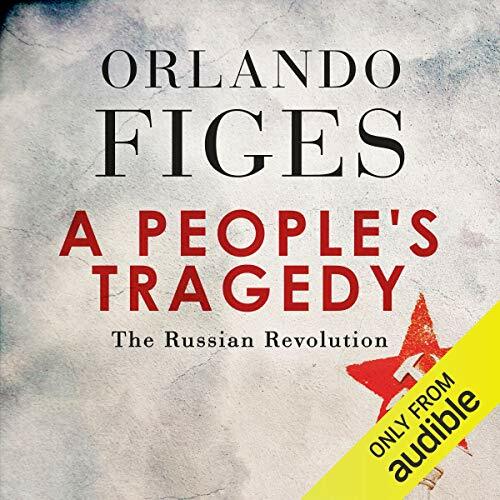 A People’s Tragedy jumps forward in time again another few hundred years. Now the focus shifts to a different part of the world: Russia. What was Russia like immediately before the Bolshevik Revolution? What were the circumstances which precipitated the overthrow of the previous Czarist system, and the implementation of Soviet rule? The Russian people were ignorant – ignorant and oppressed. And they were tired of being lorded over. And they were desperate for a better idea. Tragically, instead of a better idea, the Russian people fell for Marxism. ecause the serfs were so accustomed to being strong-armed for so many centuries, they could not imagine life without a strong man, a dictator, and a strong centralized government. And so they got Lenin, then Stalin, and all the rest. I will add also that I was inspired to add the Reformations title to my rotation after a casual remark made in this work regarding the lack of anything resembling a Protestant Reformation in the history of Russia or of the Eastern Orthodox religion. Where the Reformation ushered in and even forced a culture of critical thinking and meaningful inquiry in Western Europe, the Russian people were relatively deprived. Consequently, the Russian people failed to critically examine the idea of Marxism on its merits when it presented itself as an alternative to Czarism. This is, in my estimation, a rather monumental observation to take into account when appreciating the legacy of Western civilization, as well as understanding how the Russian people were duped. After thoroughly depressing myself with the plight of Russia, I switch over to The Vigilantes of Montana. And I find a respite and a breath of fresh air. 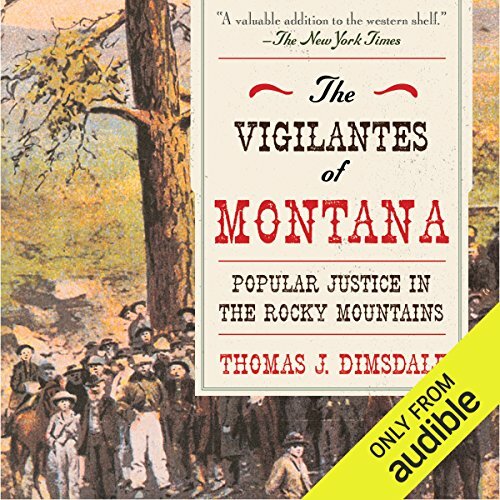 The Vigilantes is a contemporary account of decent, hardworking folk in the wild west of mid-19th-century gold rush Montana who took justice into their own hands when a band of ne’er-do-wells were waylaying, beating, robbing, and murdering travelers and any unfortunate enough to cross their paths. This is the quintessential Western tale of opportunists, predators, gun battles, and nooses. Best of all, in contrast to the Hollywood versions we’re accustomed to, this story has the advantage of being true. The Vigilantes of Montana serves as a good reminder of what forces and events helped to shape not only the persona but especially the actual character of the American West. Beyond that, in a more universal sense, The Vigilantes demonstrates that sometimes the common people must rise up to confront injustice and bring villains to account for their misdeeds. Not insignificantly, it also implicitly serves in my mind as anecdotal evidence for why the 2nd Amendment is so critically important to Americans. 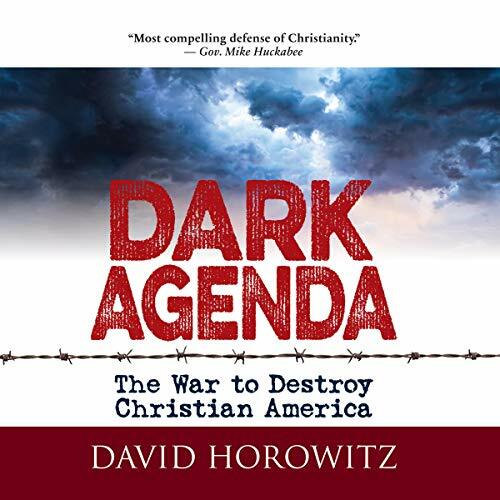 David Horowitz’ Dark Agenda jumps forward in time again, now to the United States of America more broadly in the 1960’s. Horowitz is an agnostic and former Leftist whose disillusionment with the Left came when a fellow revolutionary – the bookkeeper for a school he had helped raise funds to convert an abandoned church into for the Black Panthers – was kidnapped, raped, tortured, and brutally murdered by the Panthers. When this heinous act came to light, the Left made excuses for the murderers. The author, repulsed by this, abandoned Leftism as corrupt and disingenuous. In Dark Agenda, Horowitz traces the history of the Left in America. The abolishment of prayer in schools, the legalization of abortion, the LGBT movement – none of these Leftist causes are self-existent or disconnected. It is no accident that the Left loves Marxist Utopian revolution and hates the legacy of historically Christian America. These two characteristics of American Leftism are intertwined for deeper spiritual reasons and purposes. 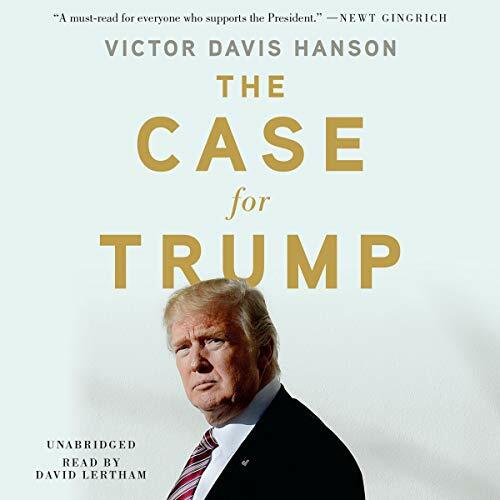 Jumping forward again to present-day America, I switch over to The Case for Trump by Victor Davis Hanson. Davis lays out a much more recent history of American social and political trends which serves to explain the successful presidential campaign of billionaire television celebrity Donald Trump, particularly his ability to maintain traction and support through the first two years of his besieged presidency. Why do establishment politicians and media outlets hate Trump so much? Why has Trump been nevertheless able to persevere and resonate despite such coordinated and relentless opposition? Hanson does a masterful job of connecting the dots by quoting prominent persons, citing studies and trends, and explaining the relatedness of various recent events which left Middle America feeling not only neglected, but betrayed, slandered, and held in contempt. For an hour, while I drive, I listen to one of these books. When I get to my destination, I switch to the next. Half an hour, fifteen minutes – however long it takes me to get to my next stop, I listen to that one. And so I cycle through all of these throughout the day. Listening to books this way, I some days make 4-6, other days 8-12 hours of progress on my reading list. First of all, everything is connected. All of our individual lives occupy a certain context if you will. Even if we look at something as big as a nation, or a culture, or a religious system, or whathaveyou – nothing exists apart from broader context. Nor does anything fail to leave an impression on what follows them, whether by action or inaction. My former way of reading or listening to books was one at a time, beginning to end. Or, if I got bored, I’d put a book down and move on. Cycling through several books whose subjects overlap makes it easier to begin to see perspectives, trends, and choices coalesce and converge into something less flat and more 3-dimensional. That, and it is more difficult to get bored, or feel like I am getting stuck in a rut. Another thing that occurs to me is just how impactful a single life can be. Oftentimes, struggles to promote or defend truth, justice, and goodness depend on the determination and faith of a single figure. And where they depend on more, it is often a small band that makes the critical difference in turning tides. Yet more impactful still, and daunting to grasp, the Lord God reigns over all these human events. There have been an endless number and variety of schemes and plots. Yet God is Sovereign over every schemer, and over the whole natural universe besides. In reading six books that span a millennium, I am in awe that God surveys all of that and more at a glance. He knows the end from the beginning. Yet He still loves and cares for you and me. Whoever first said that the more they learn the more they realize how little they know, the cliche holds true. I would feel quite accomplished to retain half of what I’m listening to all at once, muchless to understand. Yet God knows it all, and countless volumes besides. And I remember that He gives wisdom to any who ask for it trusting that He will give what has been asked for.